The Continental Qualifier for the 2018 Youth Olympic Games got underway in Buenos Aires, Argentina, with Donavan Simmons in action twice on Day One. Simmons officiated the second Men’s match of the day between Mexico and Paraguay that saw Mexico come out on top 2 – 1. Alexis Pereira gave Paraguay the lead in the 15th minute with a Field Goal, but Brayan Perez equalized for Mexico one minute later also scoring a Field Goal. The winner came two minutes later when Erik Hernandez scored a Field Goal for Mexico. Simmons would return later to officiate the match between host Argentina and Mexico, with this match ending in a 3 – 3 draw. 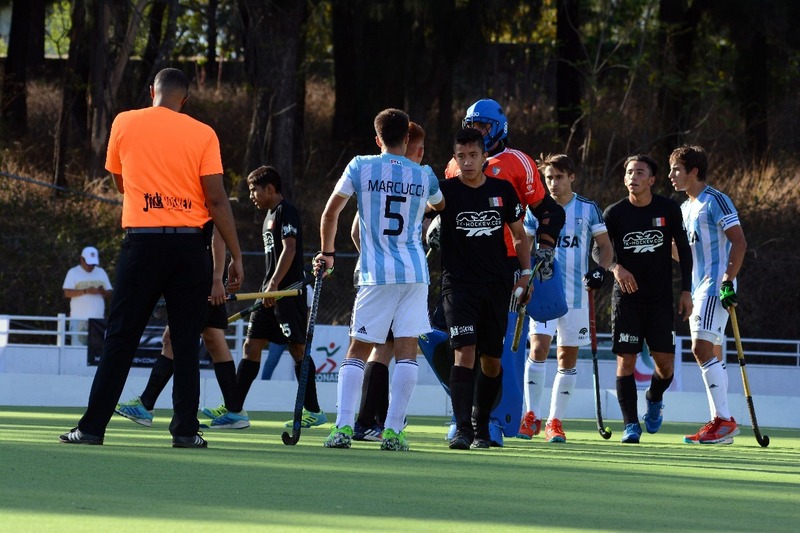 Argentina would take the lead in the 3rd minute with a Field Goal from Lisandro Zago, but Mexico would level the match at 1 – 1 six minutes later through a Erik Hernanadez Field Goal. Argentina would go back in front with a Field Goal off the stick of Zage in the 13th minute, only to have Luis Villegas equalize for Mexico one minute later. For a third time in the match Argentina went ahead this time in the 17th minute with a Field Goal off the stick of Ignacio Ibarra, but once again Mexico would equalize through a Alexander Palma Field Goal in the 18th minute.